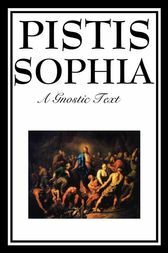 Pistis Sophia is an important Gnostic text. It relates the Gnostic teachings of the transfigured Jesus to the assembled disciples including his mother Mary, Mary Magdalene, and Martha. Pisti Sophia recounts that Jesus remained on earth after the resurrection for 11 years. In it the complex structures and hierarchies of heaven familiar in Gnostic teachings are revealed.